You already know French cuisine is considered by many to be the best in the world, and at the very least, the world owes French culture a debt of gratitude regarding its many excellent and noteworthy methods of food preparation, its excellent wines, and its many fine cheeses. Food and drink in France are national obsessions, which means, if something is considered worth eating by the French, it’s worth eating by the rest of us too. 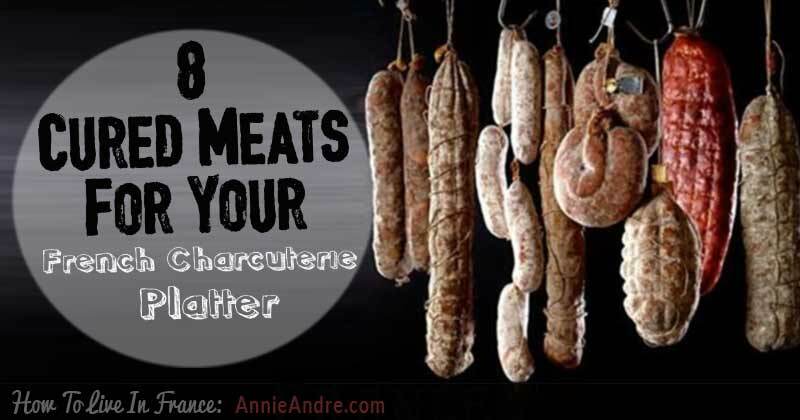 Take Charcuterie (shahr-kyu-tuh-ree) for instance which is simply a smoked, cured or cooked meat. In France, serving a charcuterie board of cured meats aka cold cuts alongside a variety of cheeses, bread, fruits and other tasty nibbly bits is actually quite common- not only at parties but also for family get-togethers because it not only looks beautiful but tastes fantastic and is easy to put together. 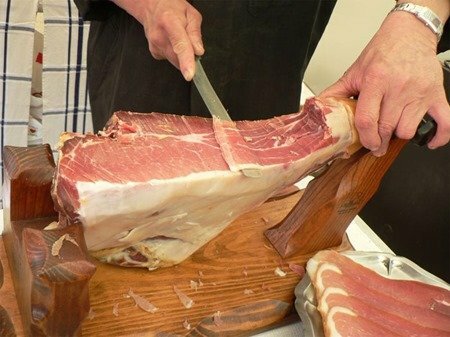 Although you could easily put any kind of cured meats and cold cuts on a charcuterie tray, if you really want to wow your guests, you should consider adding some higher end cured meats to your charcuterie board; some of which are made in France and some of which are made in neighbouring European countries. Here are just 8 to get you started. If you really want to class up your charcuterie platter, you need to include the most famous French cured ham, the Champagne of hams- jambon de Bayonne (Bayonne ham) which takes its name from the ancient port city of Bayonne in the far South West of France. This premium cured ham is salted and hung to air-dry for a minimum of seven months, with the best being cured for 12 months. Only eight distinct breeds of pig can be used in jambon de Bayonne production. The regulations concerning diet, care, transport, slaughter and fat content are also very specific otherwise it cannot be called Bayonne ham. Similar to how champagne can only be called champagne if it is produced in the Champagne region of France. Taste-wise, jambon de Bayonne has a delicate flavour, is slightly sweet and doesn’t taste overly salty. Because Bayonne ham tends to be chewy compared to other hams, it’s usually sliced paper thin. Unless you’re already in France or willing to book a flight on Skyscanner and fly to France, it can be difficult to find this premium cold cut outside of France and Europe. Thankfully there are sites online where you can order this beloved French cured meat but you may have to buy a huge 12 to 15 pound leg which you then have to mount on to a ham holder (support de jambon). Don’t worry it’s cured so you can keep it for months. If you can’t find French jambon de Bayonne, there’s always Italian Prosciutto for your charcuterie plate. 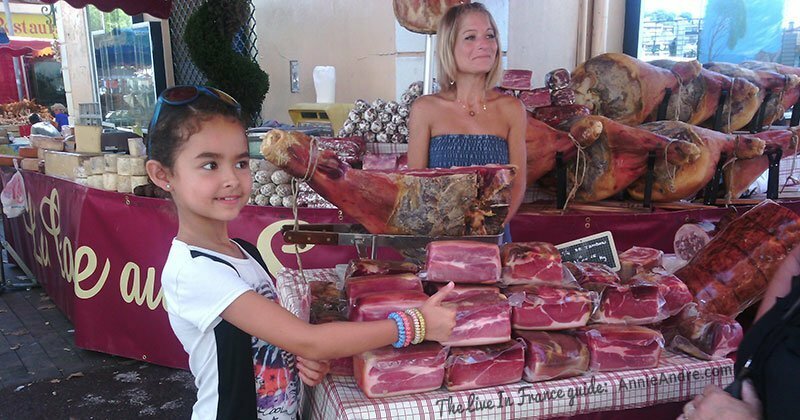 Like French Jambon de Bayonne, Prosciutto is cured by salting and hung to air dry. The curing process can take anywhere from nine months to two years. Fine food purveyors will love jambon de Savoie from the Savoy region of France. Like Bayonne ham, Savoy hams are produced under similarly strict conditions but are boiled before being hung to air cure for a minimum of 12 months in Alpine curing sheds at an altitude of at least 600 metres. This delicious ham is also richer and saltier tasting than Bayonne ham. 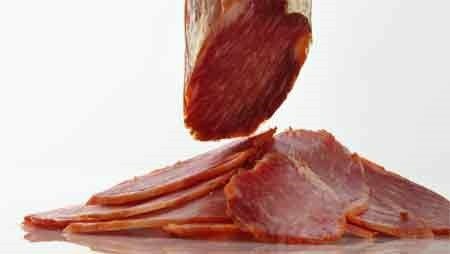 Another interesting thing about Savoy hams is it can also be smoked which gives the meat a stronger taste than most cured meats making it a popular choice for French charcuterie boards. 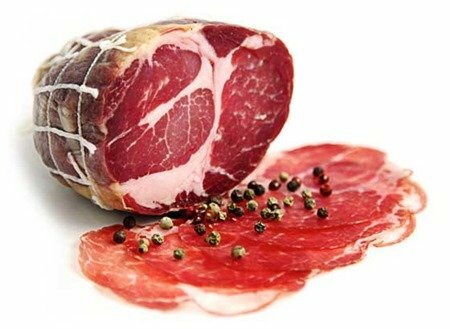 Although not French, Italian Coppa ham is an extremely popular type of cured meat French people love to add to their charcuterie boards. It’s actually very similar in taste to prosciutto. However, unlike Bayonne ham, Coppa is made from the pig’s shoulder or neck — as opposed to the back leg. 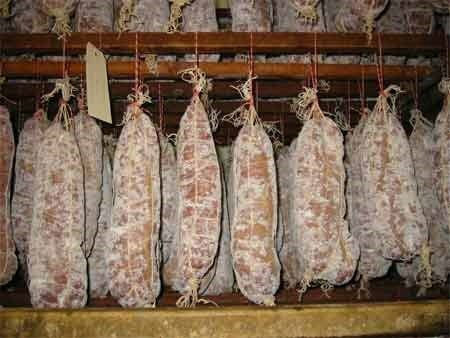 Before being salted and stuffed into a natural casing and hung for up to six months to cure, coppa is first lightly seasoned- sometimes with white or red wine, garlic and a variety of herbs and spices depending on the region. Coppa is also called capicolla or capocollo and is essentially the pork counterpart of the air-dried, cured beef Bresaola. 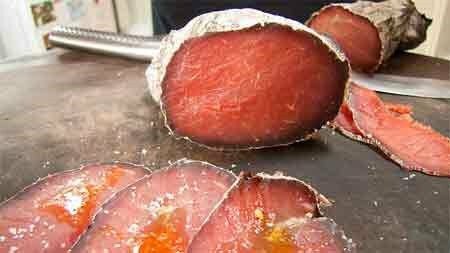 Unlike the vast majority of cured meats you’ll typically find on a French charcuterie platter, bresaola is made from beef instead of pork. Similar to Coppa, before this Italian cured meat is air cured, it’s seasoned with a dry rub of salt and spices, nutmeg, Juniper berries and cinnamon before air curing for one to three months. The result is a very rich tasting, soft and tender meat for your charcuterie plate. It can also be eaten on its own similar how you might eat beef Carpaccio- sliced thin and drizzled with lemon juice and olive oil and maybe even a little bit of parmesan. Speck from the Tyrol region of Italy is like a smoked variation of prosciutto. Cut from the pig’s hindquarters, before the speck is cured, it’s rubbed with various spices including juniper berries, bay leaves, nutmeg and garlic. Then it is smoked and aged giving this cured meat a more robust, intense taste than prosciutto. Add it to your Charcuterie board and watch their reaction. This thick, French sausage is dry-cured, and while it’s typically made of pork, it can also be made from pork and a mixture of other meats. 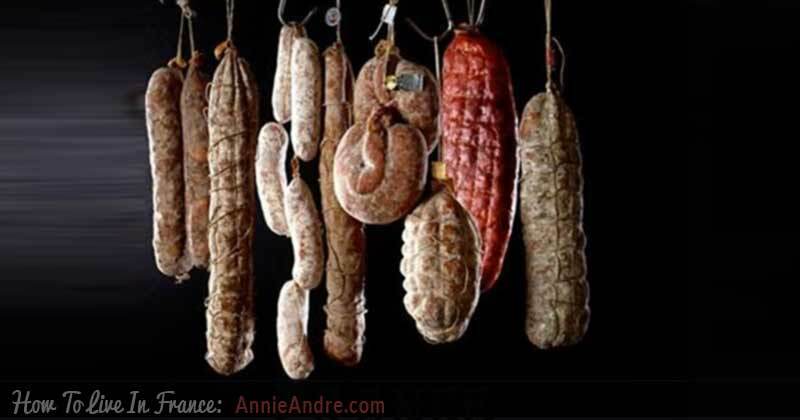 Similar to North America’s summer sausage or Italy’s dry-cured salamis, the recipe for saucisson sec typically calls for a mix of lean meat, back fat, salt, spices such as peppers and garlic, sugar, fermenting bacteria, fruits, nuts, nitrites, and even wine or cheese. A popular Spanish cured meat, lomo serrano is made from dry-cured pork tenderloin, and the result is pillowy soft and rich in flavour. Lomo comes in a variety of distinct flavours, not from the curing process, but from the breed of pig used. Lower in fat than many charcuterie options, eat makes a nice addition to any charcuterie platter especially if you add some nice Spanish cheeses.